Note: As a courtesy to our customers, we provide online tutorials on how to configure various email software. Our staff, however, are not able to provide support on how to use Microsoft Outlook. 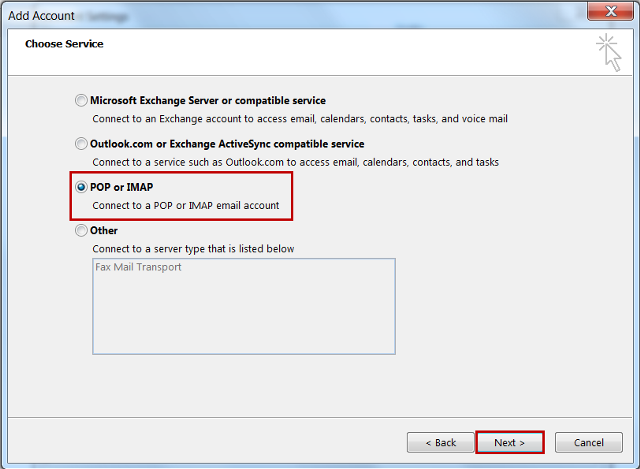 For further assistance in using Microsoft Outlook 2013, please see Microsoft's Outlook 2013 support pages. 3. Select Info from the drop down menu. 5. Select the Add and remove accounts option from the drop down. 6. 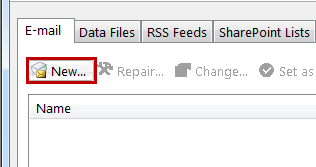 Under the Email tab, click New. 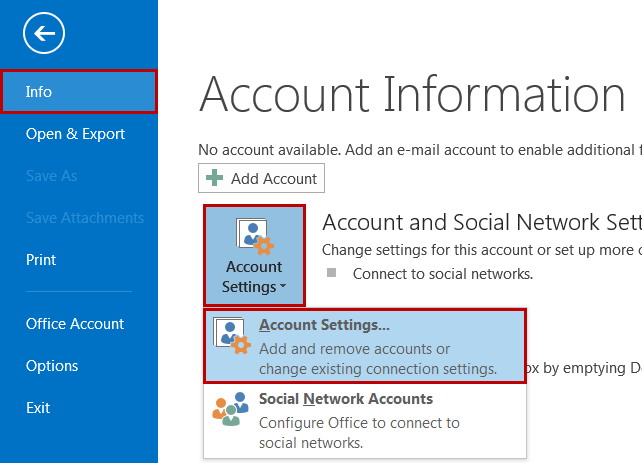 If making changes to an existing account, under the Email tab you will see a list of email accounts that exist within Outlook 2013, double click on the email account you wish to make changes to, then skip to step 9. 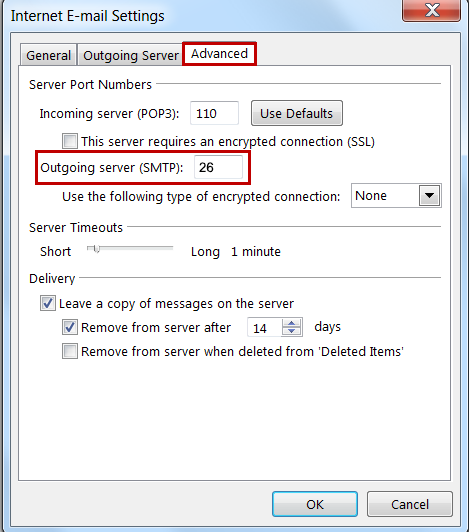 Read our POP vs IMAP article for more information about the two types of protocols. Incoming mail server: (pop): mail.yourdomain.com.au where yourdomain.com.au is your domain name. Outgoing mail server: mail.yourdomain.com.au where yourdomain.com.au is your domain name or you can enter your Internet Service Provider’s (ISP) outgoing mail server. 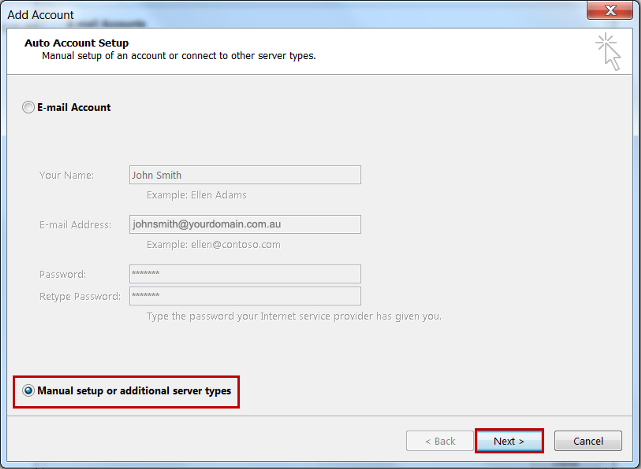 It is up to the end user to decide if they wish to create a new Outlook Data File or not, this choice does not affect the connection to our servers. 13. Select the Advanced tab. Note: Enabling SSL on shared email services can cause some warnings to appear in your email software. 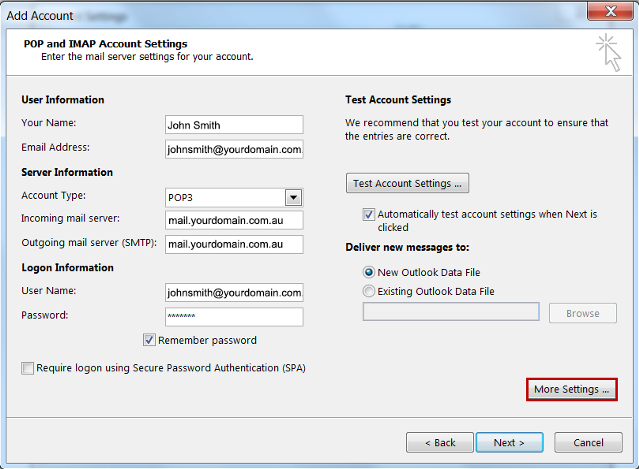 This completes the setup of your email account in Outlook 2013.